It’s time to test your Star Trek knowledge, what with it being the 50th anniversary of the franchise and all. This Star Trek 50th Anniversary Trivial Pursuit is the perfect way to do that. Or if you aren’t a Trek know it all, you can use this set to brush up on some facts too. This set has 1,200 questions from all five Star Trek television serjes and the first 10 movies. Some of the categories include Crew Members, Locations, Starfleet, Aliens, Ships, Science, and Technology. 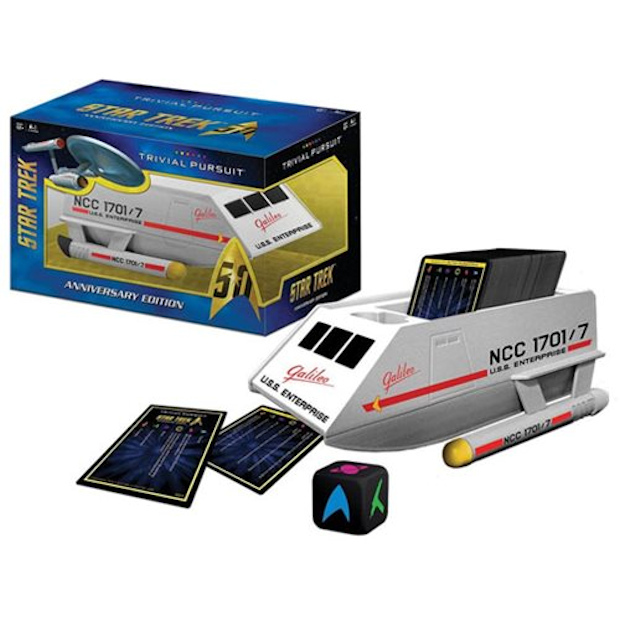 The game also comes with a special die, but the best part is that it all comes in a collectible Shuttlecraft case that holds your cards.